Ha Long Bay, which receives millions of unique visitors each year. Ha Long Bay (Vietnam: Vinh Ha Long) sometimes also called Halong Bay is one of the unique places to visit in Southeast Asia. Named as one of UNESCO World Heritage Site in 1994 receiving millions of visitors each year, visit to Ha Long Bay is one of interesting note from MyRokan in 2016. Ha Long Bay is located about 170 km east of Hanoi and takes 3 hours drive from main city of Hanoi. Every day thousands of tourists will be taken to Halong Bay by the tour operators with buses and minivans heading to the area to see the unique topography of Halong Bay. The beauty of Halong Bay and Hanoi City's own uniqueness increase rapid tourism industry here. The rapid pace of development can be seen in a short period compared to the previous years where Vietnam engulfed by civil war and chaos. Today, the larger highways help smoothen the traffic between the two important places full with tourist attractions. Halong Bay has a long history and has been inhabited since thousands of years BC. The study of history shows that it is inhabited by the Soi Nhu around 18,000 to 7000 years BC, Cái Bèo 7,000-5,000 BC and Ha Long from 5,000 to 3,500 earlier. 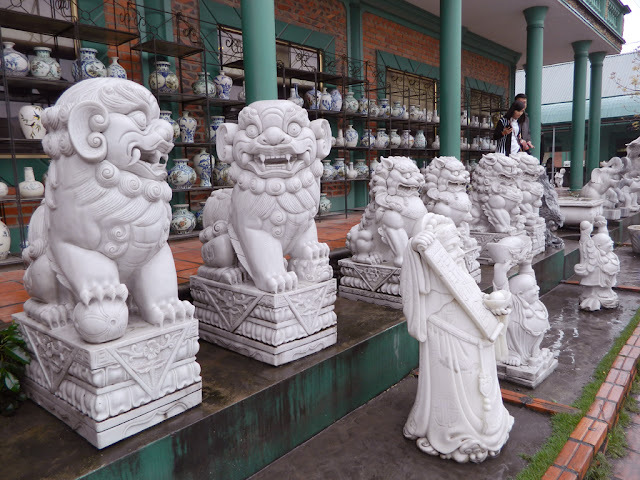 It makes such historical areas of ​​Vietnam through the discoveries of artifacts in some areas of the Bai Tho Mountain, Cave Đầu go and Bai Chay. Rows of local artwork on the journeys to Ha Long Bay. Views on the Ha Long Bay pier. 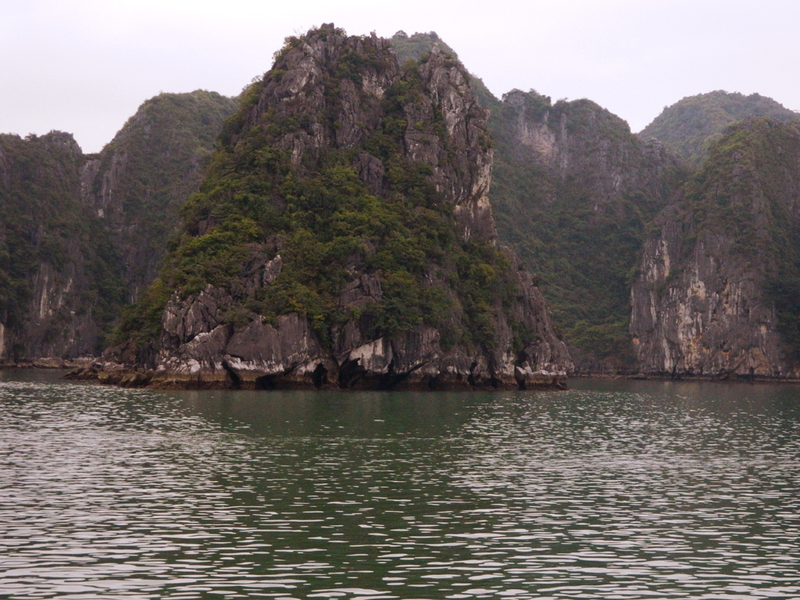 The rocks that form small islands in Ha Long Bay. Along the way to Halong from Hanoi City you can also see the activity of the people in Vietnam actively farming with varieties of crops other than rice. 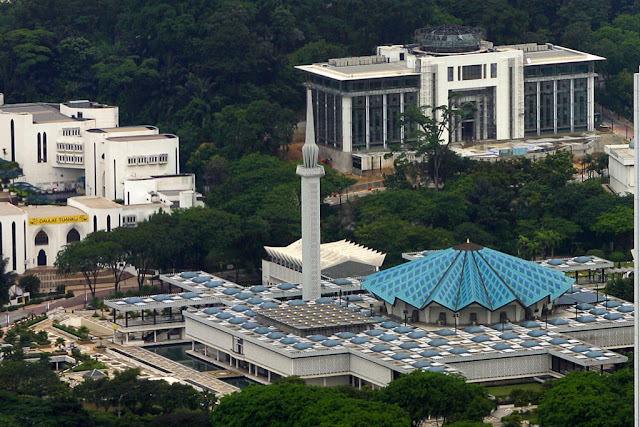 Factories also established indicating gained of confidence by foreign investors to invest here. Locals people in Vietnam also has a variety of businesses from construction, electrical / electronics, small industries such as pottery, stone/marble carving, silks, pearls and so on. Be sure to open your eyes all along the journey to Halong Bay. When approaching Halong Bay, the terrain seems to change; landform that at first seemed flat now change to hills of limestone from large numbers of limestone islands that make up Halong Bay areas. There are many oyster farms open for visitors when approaching to Halong Bay. Hang oysters can be seen clearly when the water receded during the midday. You will be taken to the main pier (and this depends on the tour company you have chosen). Roughly, if you just want to see the uniqueness of Halong Bay, it is not so important. This is because there are so many piers operating here either for group tours or even individuals. So to assist your journey, the use of tour service is much easier. 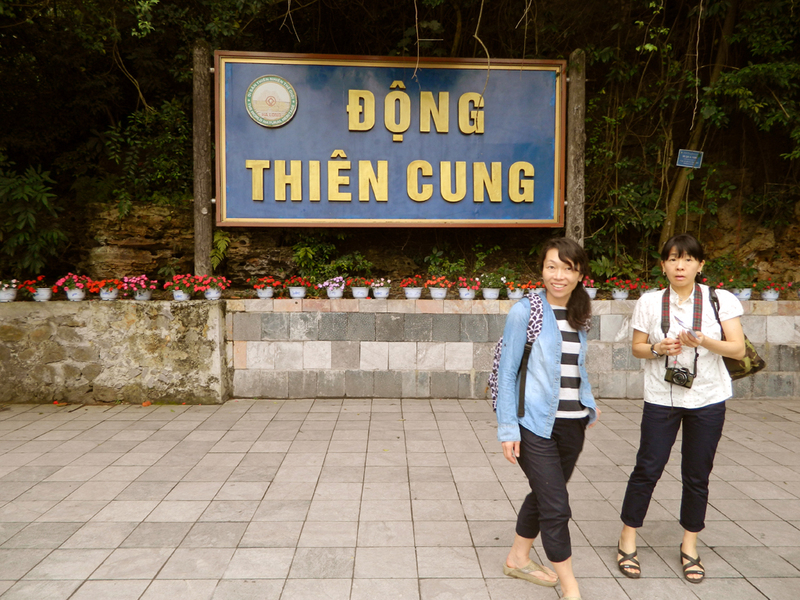 At the entrance to the Thien Cung Cave (Attsuko and his colleagues - teachers from Japan). 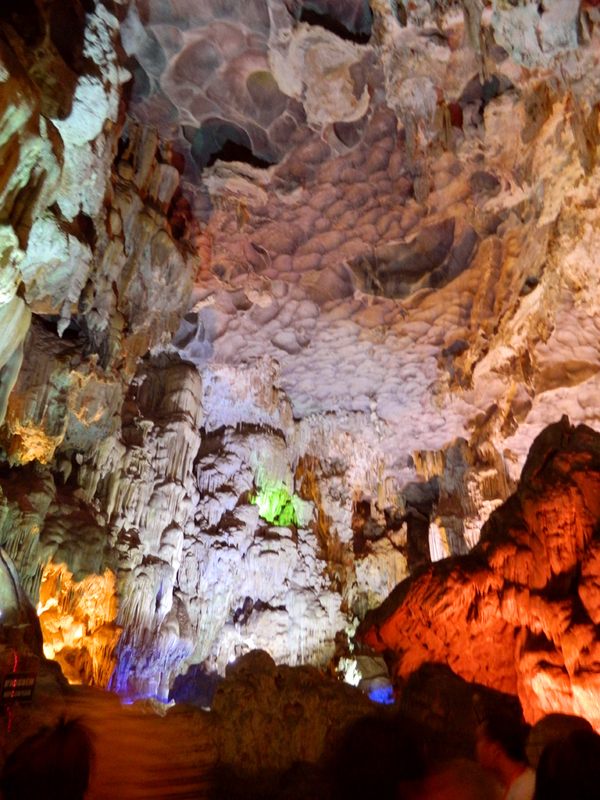 The scenes in Thien Cung Cave. One mistake I did when assuming that I can get the 'AA' batteries easily for the camera here at Hanoi and Halong Bay. In Hanoi there are no convenience stores like 7-Eleven, as in the other cities I visited. But I was lucky because there seems such shop during stopover at Halong Bay pier. Apparently the battery is rarely used (probably because of all the gadgets today using the rechargeable battery; Li-ion battery). Among the most common activities here are cruising with small vessel while enjoying lunch of seafood. You will be taken to several locations to do some other activities such as kayaking, boating ( bamboo boat ) and visit several caves in addition to enjoying unique views of the entire topography of Halong Bay areas. 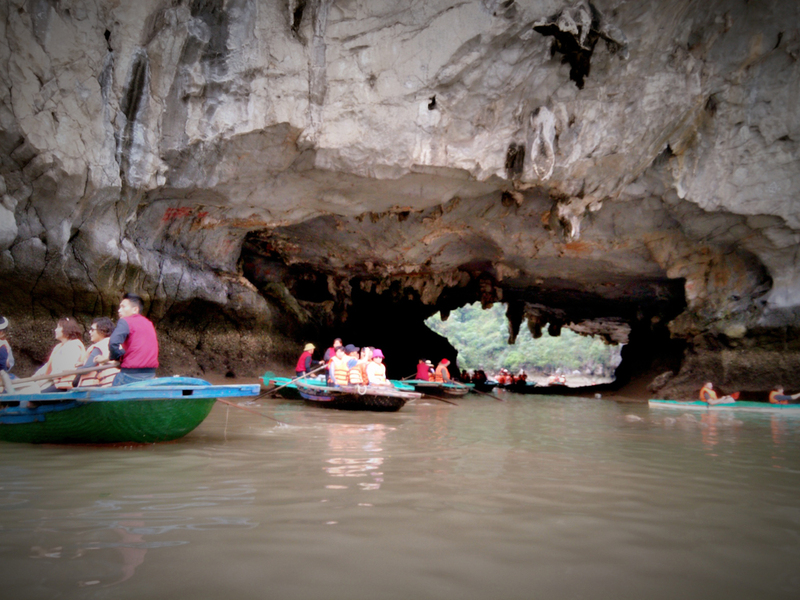 Activities in Ha Long Bay. Among the interesting experiences in Ha Long Bay. 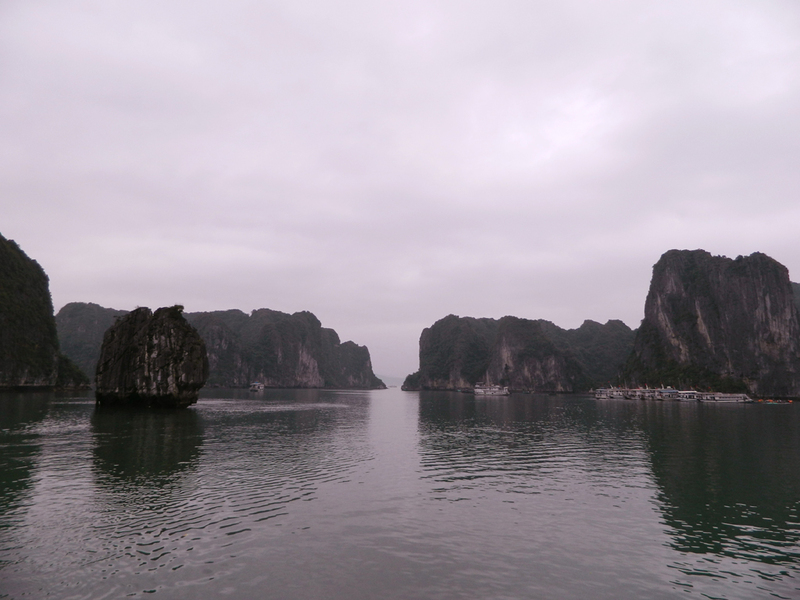 Although well recognized, water quality in Halong Bay does not allow you to plunge in and swimming in it. Anyway it is still one of great experiences that you get. Water quality is said to be affected by the uncontrolled activities of the villagers who’s live by the areas (water villages). 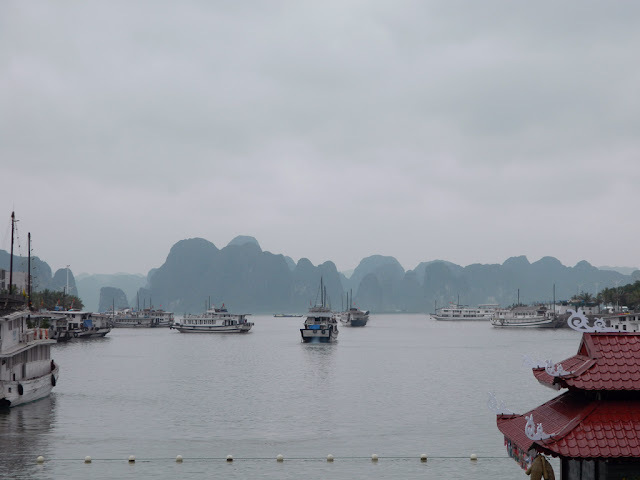 It is however in the process of moving in stages by the Government of Vietnam in an effort to restore the environment in Halong Bay. However, tourism activities here also may be one factor contributing to the water situation. A visit to the cave was a first experience for me to enter a cave. I only had the opportunity to enter the Thien Cung cave from which there are some other caves here includes Đầu Go, Sung Sot, Me Cung and other caves like Kim Quy, Tam Cung, Hoang Long, Lau Dai and so on. But it was a unique experience, because the cave was prepared accordingly to facilitate the tour purposes; so you're not worrying about your safety as well as the places you visit. 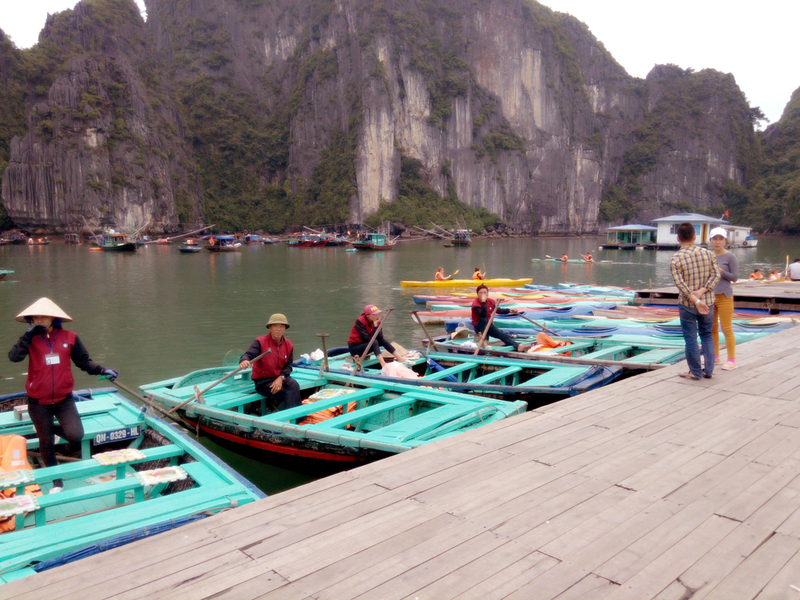 Halong Bay gives a great impact to the economic development of local communities in Vietnam. In only a short period of time the development in the surrounding area continuously increases as well as the local population. It is a destination that I may visit again.